Dan Proft's "Liberty Principles PAC" is running this ad - and this message about how 'one party rule' is dooming Illinois down in the 115th District on behalf of candidate Terri Bryant - who is running for State Representative to replace out-going Rep. Mike Bost. The spot - that is draped in pink - urges voters to bring 'balance' back to state government by voting for Bryant. 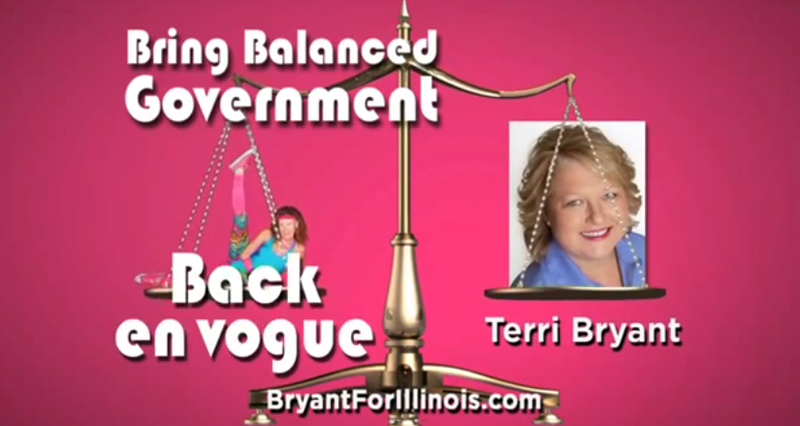 It says we need bring this balanced government - where Bryant serves as the counterweight to a hilariously-posed Speaker Mike Madigan in jazzercise gear - 'back in vogue'. 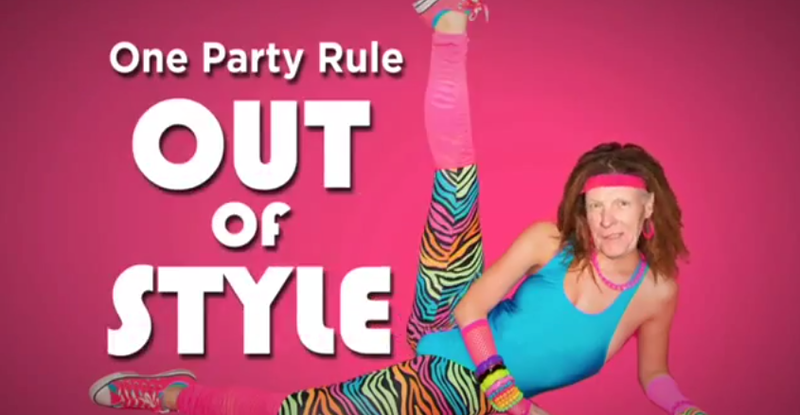 The use of Speaker Madigan on the animated body of a jazzercise'r is pretty funny, but we have to wonder if normal voters recognize him? I can imagine the giggles happening at the radio station when Proft and company reviewed the concept, so even if voters in the 115th don't pick up on the cues, at least there is some comedic value in the effort!